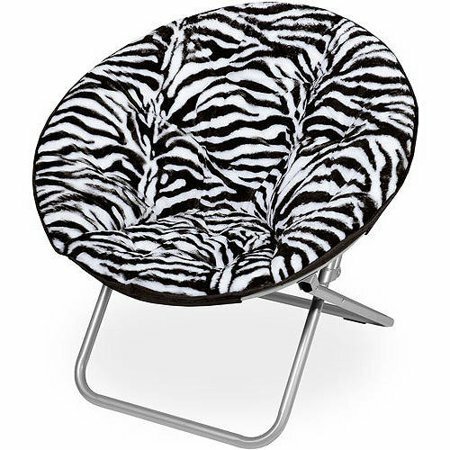 225 lbs Capacity Saucer Folding Chair Faux Fur fabric in Zebra by Mainstay at RVTE. Hurry! Limited time offer. Offer valid only while supplies last.